After more than a month, Virginia Gov. 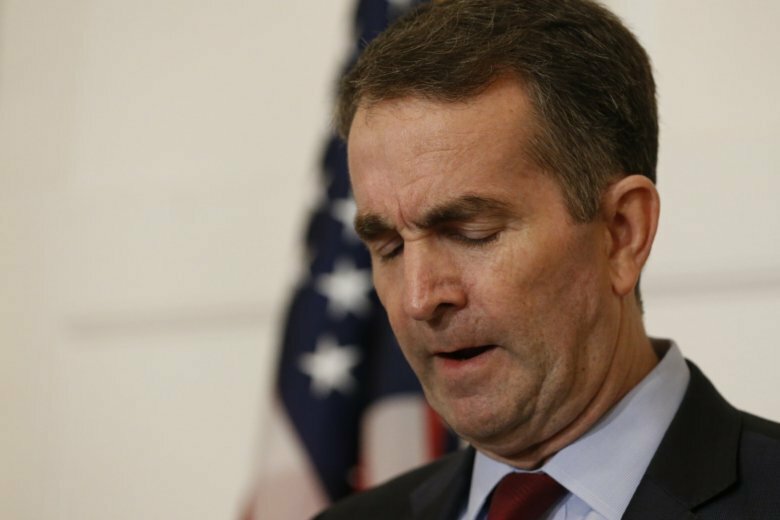 Ralph Northam is set to make his first official public appearances this week since a news conference where he admitted to once wearing blackface. Still, even while meeting with individuals and groups only behind closed doors, he has continued the official work of the office, including signing a number of bills into law. Northam’s first public schedule in the last month is sparse — remarks at a drone conference in Crozet and at an agricultural trade conference in Richmond — but the usually perfunctory events are his latest efforts to get back to normal in the face of calls for his resignation. An attempt to start an apology tour last month was scuttled by opposition from Virginia Union University students, but Northam did attend a Richmond Slave Trail Commission reception on Feb. 28. Virginia Attorney General Mark Herring began his own more public apology efforts this weekend after also admitting last month to once wearing blackface in the 1980s. Herring began with a trip home to Northern Virginia and an editorial in the Richmond Times-Dispatch. Meanwhile, Northam has signed bills into law over the last few weeks, banning tobacco and vaping on school properties or at school activities, allowing private schools to hire armed security officers, limiting nondisclosure agreements for sexual assault settlements, and trying to cut down the number of evictions in Virginia. Northam has also signed bills allowing higher towing fees in Northern Virginia and toughening penalties for the waste of animals killed or crippled while hunting. He had already signed bills raising the minimum age for tobacco and vaping purchases from 18 to 21, with an exemption for military members; allowing happy hour advertising; and laying out taxpayer-provided incentives for Amazon. There is still a long list of bills on the governor’s desk, including the state budget, that he can sign, veto or offer amendments to. Virginia’s General Assembly is scheduled to return for a one-day session April 3 to consider any amendments or vetoes.